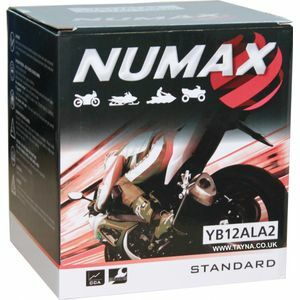 Used on Aprilia Pegaso Cube and works well. Good battery at a better price arrived within 24 hrs on the bike within 48 hrs and back on the road. delivered on said time. first time used tayna battery it said in ad it was heavy duty but on battery it said standard so i hope their one in same. See how long it lasts. Battery works perfectly cranking my bike quickly. Easy to follow instructions to fill and charge the battery. Quick delivery too. I called because I needed some advice. The advice was freely given with no jargon. Excellent customer service and delivery.